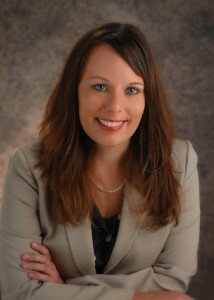 Erin Wiseman is a 2013 graduate of the Jefferson City Chamber of Commerce Leadership Jefferson City program. Leadership Jefferson City is designed to identify and motivate emerging leaders, and to develop their potential for community leadership roles by exposing them to the opportunities, realities and challenges of thecommunity. The topics of the eleven sessions included team building, diversity, history of Jefferson City, health care, social services, state government, education, local government, technology, volunteerism, industry, media, and arts and recreation. Erin was one of only 30 people selected to participate in this five month program. The topics of the eleven sessions included team building, history of Jefferson City, volunteerism, local government, technology, diversity, wellness/social services, state government, industry, education, media along with arts and recreation. Ms. Wiseman has a general civil practice that includes Bankruptcy, Family Law, Criminal Law, Municipality Representation and Business Law. Erin handles matters in the Western District Bankruptcy Court of Missouri representing both creditors and debtors in various matters in bankruptcy. Erin also handles matters in various Circuit Courts throughout Missouri, practicing Divorce, Paternity, Child Custody, Child Support, Modifications, Traffic matters, Criminal and Felony matters, and general Business Litigation.